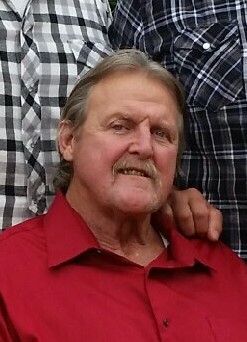 Kevin Mitchell Beck, 64, who resided in Layton, UT passed away peacefully on May 31, 2018 surrounded by his family. He was born on October 8, 1953 in Ogden, UT to Earl Odell Beck and Elva Mae Beck (Jones). He married his lifelong friend, Robin Liegh Grondel, in Elko. NV on January 29, 1977 and they were later sealed in the Salt Lake City Temple. He was an extremely kindhearted man, who was willing to help others in need. He had a dry sense of humor, and enjoyed bringing a smile to other people with a good joke. He was willing to sacrifice possessions in order to provide and care for his family, whom he deeply adored. He cherished his grandchildren and his first grandchild (London) nicknamed him Bugga, a name that stayed with him through all the grandchildren. Following in his father's footsteps, he ran his own painting and finish carpentry business with his son, Cheston, for many years, and took great pride in being a general contractor. He had a passion for drag racing and Nascar, and enjoyed building racecars in his teenage years, and continued with his sons until health would no longer allow. He especially enjoyed watching Gunsmoke and often felt he should of been an old cowboy. Kevin enjoyed teaching primary to the children and was sad when health would not allow him to continue. He found great joy in gazing into the universe, pondering its complexities. He is survived by his wife; 5 children; son, Cheston (Charlene) Beck, daughter Amanda (John) Hurd, daughter Miranda (Albion) Yeaman, son Mitchell (Opalgene) Beck, and daughter Kaliegh (Erik) Walther; ten grandchildren, London, Lorna, Janika, Charlie, Cordin, Marcella, Jonah, Carver, Cecelia, and Olivia; mother-in-law, Lanora Grondel; sister, Carolyn Cue; brother, Greg (Phyllis) Beck; sister, Kris (Lyle) Veibell; sister, Machelle (Ken) Thornock, and several neices and nephews. He was preceeded in death by his parents and father-in-law. Graveside services will be held on Monday, June 4, 2018 at 1 p.m., at the Milton Cemetery, located at 181 North Morgan Valley Dr., Morgan, Utah. In lieu of flowers, donations for funeral costs would be appreciated. They may be sent to the family in c/o Cheston Beck via paypal at chestonscout@gmail.com.